I start this article today by acknowledging all my Muslim readers, and take this opportunity to wish you all a wonderful Eid al-Fitr. May there be joy in your homes, peace in your hearts and love all around you as you celebrate the end of Ramadhan. Though Thursday and Friday were holidays in Tanzania, for me they were normal working days since I spent most of my time at the office, catching up with piled up work, but in between I had a chance to go to the market to buy my usual weekly groceries. I mention my trip to the market because I found it quite interesting. You see, this was a day before Eid, and even though I had gone to the market before 10am, the market was full of buyers. People were buying stuff in bulk; it’s like they were preparing for a period of food shortage. They came in all shapes and sizes, drove all manner of machines and bought all manner of foodstuff. And in the midst of them all, there was this woman who was buying chicken. The first thing that caught my attention about this woman is that she was short; and no, there’s nothing wrong with being short. Actually, I would not have noticed her height until she started trying to open the latch to where some chicken were “caged”. What she did not know is that the “cage” was not well grounded meaning that as soon as she attempted to open the latch, the cage toppled over and fell with all its cargo, sending the woman down with it. Fortunately she didn’t get hurt but of course the chicken took off at high speed at the unexpected freedom. The owner of the chicken had to run after his chicken, trying to get them as fast as he could before they turned into someone’s free meal. The chicken seemed to be very energetic and determined not to get caught; I guess they knew they were going to be someone's meal soon. The image of this guy running around after the chicken was like a scene from one of our team building sessions. Speaking of making a meal out of chicken, which one do you prefer, the boiler kind of chicken or the “kienyeji” chicken? If you asked me, I think the answer to this question would be determined by many factors such as the strength of your teeth, among others. If for example you don’t have time to cook the chicken for a whole day, then I guess the broiler would be the best option. If you don’t have all your 32 teeth, and more so the “chewing teeth”, then I guess the broiler would be your best option. If you don’t have the strength to run after the chicken for an hour before you can finally corner it, then the broiler is your safest option. Why am I insisting on the broiler and not the "kienyeji" chicken? Because by its nature, the broiler is easier to deal with in all the above mentioned areas; for instance, you don’t have to run after them trying to see which one you will capture for your lunch or dinner later since they are in a shed. Another thing is that because they are given some special diet, within 5 – 7 weeks of age they would normally have reached the required slaughter weight. However, it is not uncommon for a few to reach the required weight much later, between the 12th – 16th week. 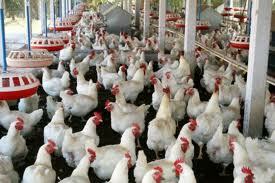 This fast growth means their bones are not as strong as the kienyeji chicken would be, meaning that even if you have shaky teeth, you can still comfortably chew the bones. Contrary to the life the broilers live, the "kienyeji" chicken, especially those in the village, lead a very hard life; they are hustlers. In most cases they go out to fend for themselves from the minute they wake up to the minute they go back home at 6pm. They learn how to hide and protect their chicks from their flying predatory counterparts. They learn how to keep warm and how to look for their own food. In short, they go through the natural process of growing up, and reaching maturity at the right time, unlike the broilers whose “maturity” is forced. As a result of passing through the stages of life naturally, the kienyeji chicken has tastier meat than the broiler chicken; the soup is thicker and tastier too as compared to the broiler chicken and of course the dog gets to share the chicken too because you cannot break a kienyeji chicken’s bones with your own teeth. And so it is in the human world; we have those who are like broilers and we have those who are like kienyeji chicken. People who want to take shortcuts in life, not wanting to go through the whole toughening and learning process are like broilers. They want to use “special” methods to reach the required weight, forgetting that reaching the required weight does not necessarily mean they have matured. This explains why we have so many graduates with “great grades”, but when you give them an opportunity to work, they cannot do even the basic stuff. Some cannot even write a coherent email or even a report. Most have no respect for deadlines and when told off for not performing, they still don’t see what the problem is. If you are an employer, I am sure you must have come across some very pathetic application letters/emails that leave you wondering what value that person can add to your company. Why? Because most of them got those certificates through backdoor means i.e. either they were sexually transmitted or a lot of bribing of lecturers took place. The other area in life people act like broilers is where they want to get rich “miraculously”, without any hard work. This mentality is what causes people to get involved in all manner of weird deals and practices just to make things happen fast. You’ve heard of those who use witchcraft, those who kill albinos for all the wrong reasons, those who are ready to do anything including selling their souls to the devil, just to get rich quickly. What they forget is that easy come, easy go. To those looking for jobs I have one advice for you; don’t take shortcuts in order to get that job you’ve been looking for. The chances of you being fired before you even learn the ropes of that job are very high. Instead, why not try getting into that company you are eyeing (so desperately) by starting out at the lowest rank and climb through to your desired position gradually? That way, you will have learnt a lot about the company and the way it operates, which eventually will make it very easy for you to finally step into that position you have been desiring ever since you left school. It may take you long, but the process will be worth it. For instance, though I am not yet where I want to be, it has taken me 16 years, long years, to get to where I am today. However, I am ready to wait another 16 years if I have to because like I said in last week’s article, everything takes time. Look at your life today and be candid with yourself. What kind of chicken are you, the broiler or the kienyeji chicken? If you find out that you have been living a broiler kind of life, then don’t fret about it because it's never too late to mend your ways. You can decide here and now that today is the beginning of the rest of your life as a kienyeji chicken. Not all shortcuts save us time; some make the journey even longer than it would have been had we used the normal road. Be wise and let nature take its course in all areas of your life. If you must take a shortcut, may you have the spirit of discernment to determine whether that is the best solution for you. Wishing you all wisdom today and always. PS: I have nothing against broilers at all. I used this for illustration purposes only. PS: Article published in Tanzania's Guardian on Sunday on the 11th August, 2013, under my weekly column "Thoughts in Words"
Thank you dear Liz, I am a Kie nyeji kuku, and am ready to grow step by step up to maturity level. Thank you for this constructive teaching.